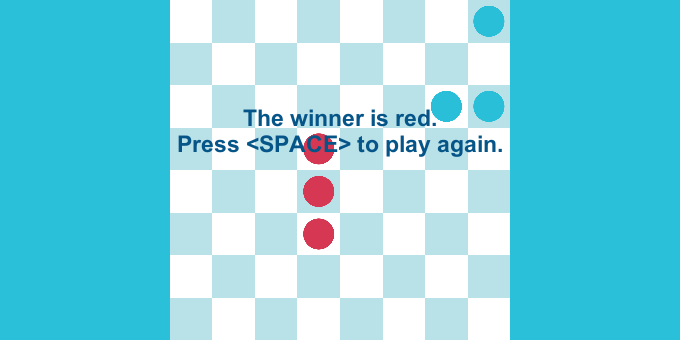 To display a message when the game ends you need to add a few lines of code to the game script that you are using, in this example “ShowGameOverMessageGame”. Essentially, you add a event handler to the OnGameOver event that displays a message depending on the configuration. The field manager.OnGameOver is an event that fires when the game ends. The rules of this game are the same as the Victory Conditions examples. Import Abstract Strategy in a new project. Import the package below into the same project.